A well-draining roof should be dry within 48 hours after a rain storm. A slope of 1/4" per foot will ensure that good drainage is achieved. Ponded water will shorten the life of the roof. This by itself is not a reason to replace the roof immediately but this should be addressed when re-roofing is required. The roof shown in Image 2 likely will require the use of tapered insulation at time of re-roofing. 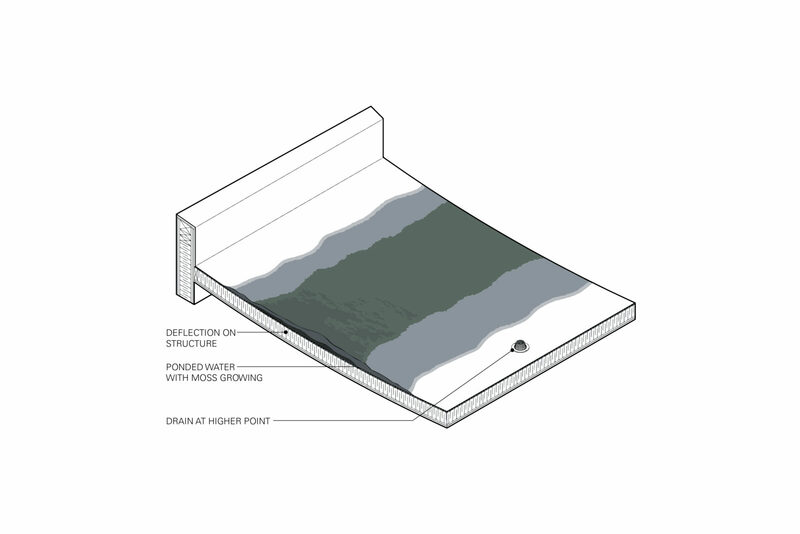 Prolonged ponding may allow weeds, moss, and even small trees to grow on the roof and roots may even grow through the roof membrane - see Image 3.